ISN’T IT NICE when a record comes along that everything you hope it will be, it is? That each successive song builds on the last, expands the narrative and yet stands satisfyingly on its own? 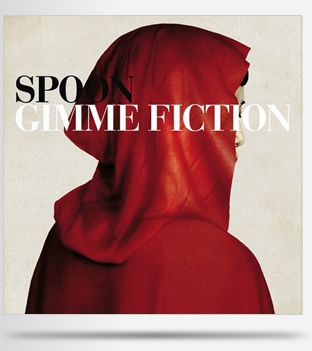 Such a record is Spoon’s Gimme Fiction — a solid, sensitively produced expansion on the group’s growing catalog. The band keeps a relentless momentum through the entire disc. Each member is allowed to shine through spare instrumentation, honest vocals and a mix that breaks more interesting passages into far left and right channels. As clichéd as it seems, there’s no weak tracks here. Highlights include the chiaroscuro of opener The Beast and Dragon Adored, a plea from leader Britt Daniel for his muse to revisit. Contenders for most fav include the anxiety-ridden They Never Got You and the alt-rock-radio-friendly I Turn My Camera On — a track that has been compared to the Rolling Stones’ disco-laden Tattoo You by more than one reviewer. Spoon hail from Austin, so it comes as little surprise that their slight blushes of alt.country have been compared to the folksier (but less introspective) elements of Wilco. Both groups share a penchant for despondent pop — identically riddled with psychedelic, Beatlesque-ripoff passages of orchestral confusion. But where Wilco’s meanderings border on the multiple personality (say, on Summerteeth), Spoon keeps itself on a narrower, crowd-pleasing course that transfers easily to its live performances. Fiction can get a little stale after too many listens (10+), so keep the iTunes Smart Shuffle preference pushed to the “less likely” end of the spectrum. Lastly, this site was created with the graphic designer in mind, so something should be said about the cover art: It could use a little work to edge it from good to better, but I can’t find fault with the use of a beautifully fat Bodoni.